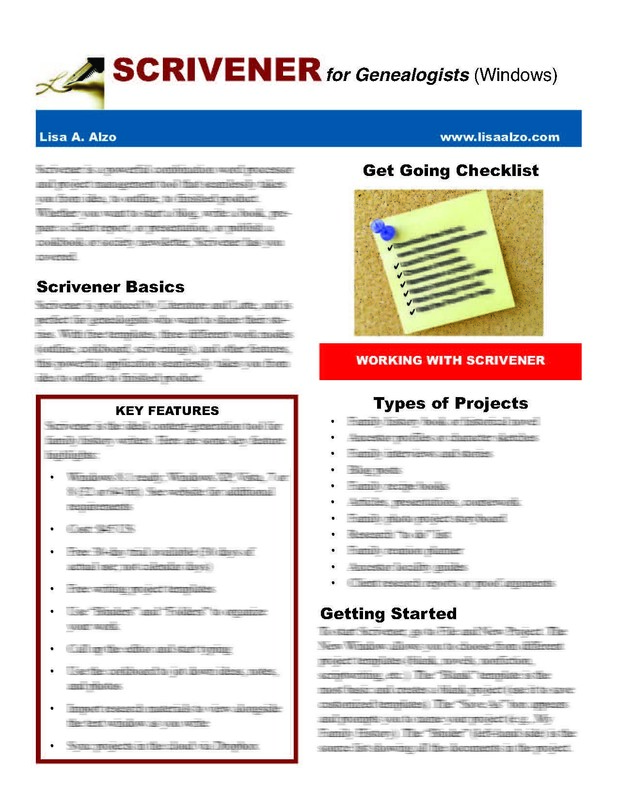 The Scrivener for Genealogists Quick Sheet (Windows) is a 4-page PDF guide with all of the basics you need to know to get up and running with Scrivener,the popular combination word processor and project management tool by Literature and Latte. This guide will show you how to use Scrivener for any genealogy/family history writing project. The Scrivener for Genealogists Quick Sheet (Mac) is a 4-page PDF guide with all of the basics you need to know to get up and running with Scrivener,the popular combination word processor and project management tool by Literature and Latte. This guide will show you how to use Scrivener for any genealogy/family history writing project. 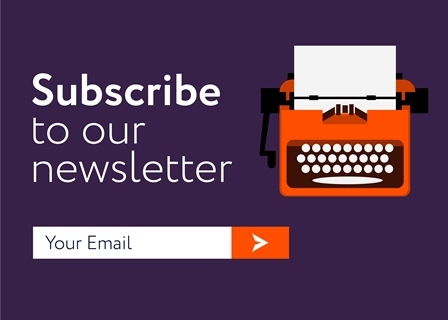 Signup for Lisa's newsletter to receive the free download.